Fall Naturopathic Immune Boost Clinic! Help boost your immunity this cold and flu season with homeopathic remedies! We now have 2 Naturopathic Doctors! Dr. Michelle Peters started with us in September. With 12 years of clinical experience, we are excited to add her to the team. She available Tuesday and Thursdayafternoon/evenings. receive a free *product at the first visit. That’s the part insurance doesn’t cover! Now is the time to send in your friend or relative that has been meaning to make an appointment. Sneezing, runny nose, itchy or watery eyes? Sneezing, runny nose, itchy or watery eyes, headache, sinus pain and pressure, and increased asthma symptoms – the symptoms of Spring and Fall allergies are the same, but the causes are different. If you thought you were safe from these symptoms because you didn’t have them in Spring, think again. There are far more culprits that can cause allergies in the Autumn months – and for most allergy sufferers, the main solution is to avoid allergy triggers. But what if you can’t avoid them all the time? What can you do? If seasonal allergies differ do we need to treat them differently? 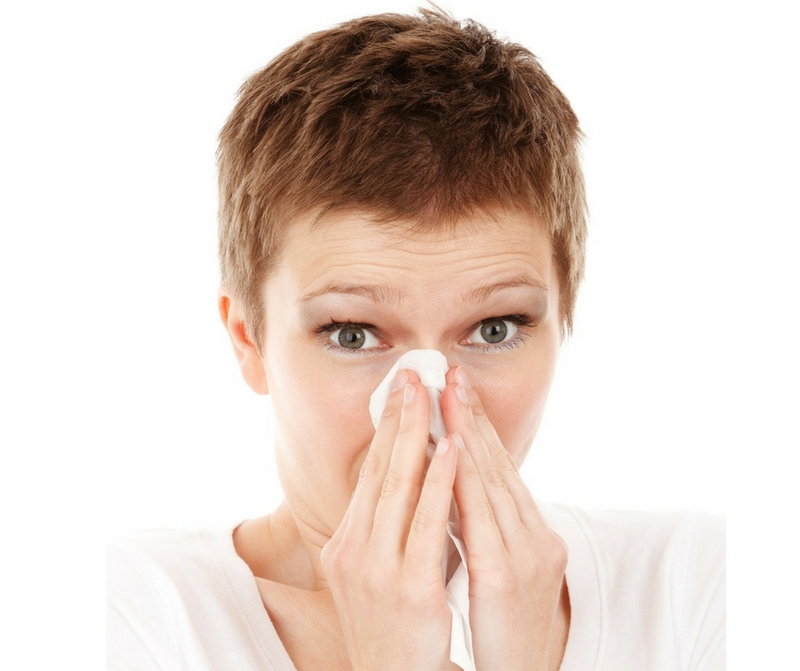 Allergies are often tied to weakness in the adrenal, immune, and/or digestive systems. Here are a few ways to help you and your family enjoy the Autumn season – and sniff through it less. Changing seasons can often include a change in allergies. Just when you thought you had them under control, the natural cycle of our environment creep up to create a whole new set of sensitivities and reactions. There are naturally more airborne allergens in the waning of Summer and the Autumn for a few reasons: Pollens, like those from ragweed, are airborne this time of year, particularly in windy weather.Warm, wet weather is the perfect environment for mold spores, which thrive in early fall and can be kicked up in yards full of fallen leaves and damp grasses as well as in dark damp places indoors.Other indoor allergens intensify too, because as the weather cools, you’re more likely to close your windows and seal up your home, keeping whatever is already inside – or enters into – your home, settled there.Where there is dust, there are dust mites. When old comforters and quilts come out of storage the natural occurrence of dust mites increases where you cuddle up most.Finally, your best friend may also be causing your allergies to worsen. As your pets coats shed and thicken in preparation for the winter months, dander and fur become a greater presence causing sniffles, sneezes, and itchy eyes. Enjoying Autumnal weather for allergy sufferers might seem impossible but there are many natural ways to help you combat your symptoms so you can experience the fun of the outdoors – and indoors – this beautiful harvesting season! Often allergies are seen as symptoms of weaknesses in the adrenal, immune, and digestive systems. There are a number of nutritional supplements, vitamins, and minerals that are known to support and strengthen each of these systems, and also to have very positive effects in helping to combat seasonal allergies. Bioflavonoids – While onions make our eyes tear up, they also contain the bioflavonoid quercetin – a natural antihistamine – that can treat allergy related itchy, watery eyes! It’s also an anti-allergenic and anti-viral that can reduce other symptoms including asthma, hay fever, and even cold sores. Onions aren’t the only source of quercetin; apples, berries, cruciferous vegetables like cabbage, cauliflower, and black tea are good sources too. Bioflavonoids work best when taken with vitamin C. Multivitamins – Unless you’re eating a clean, healthy, unprocessed diet 100% of the time, it’s likely that you are deficient in a few vitamins and minerals. A high potency multivitamin can help you ensure that your essential nutritional needs are cared for, and your body is ready to fight off the allergens that come your way. Probiotics (like lactobacillus acidophilus) when you take care of the good bacteria in the gut, your digestive system and your immunity benefit, combating allergies by keeping inflammation at bay. Probiotics are naturally occurring in fermented foods like yogurt, kimchi and sauerkraut, kefir, kombucha, pickles, and miso soup. Vitamin A – This vitamin is the key to helping your gut make good decisions, particularly when it comes to responding to inflammation. The body cannot synthesize this vitamin on its own. So getting it from your diet, or from a supplement can be beneficial, but choose wisely, because vitamin A is a fat-soluble vitamin and overdoses could be toxic.Vitamin C – This supplement has multiple benefits! It prevents the formation of histamine (instead of interfering with histamine once it’s already produced in the body, like over-the-counter antihistamines do). It has a great reputation for preventing infection and illness, keeping your immune system strong. And it can amplify the action of bioflavonoids – in fact, you can purchase them separately or in combination.Zinc – You might know that zinc lozenges are a great for scratchy throats that come with colds but did you know that sufficient zinc might help reduce allergies too? Zinc is important in how histamine is stored in the body. A deficiency means that more histamine can be released throughout the body, increasing your sensitivity to allergens overall. Flushing the nose with saline solution twice a day goes a long way to ensuring that congestion causing allergens like pollen, spores, dust and dander are expelled before they can settle in and cause the symptoms that make it hard to enjoy the change of seasons. Since your eyes, nose, and throat are connected, Nasal irrigation or using a Neti Pot are a great way to naturally remove allergens that can cause all kinds of congestion and discomfort from itchy ears and eyes, to sneezing and stuffiness, and even sore or itchy throats. If you choose to make your own saline solution, make sure the water you use is distilled or purified so no micro-organisms are present. Open or closed, doors and windows as long as allergens are floating in the air, they’ll make a home inside your home. Using an air purifier with a HEPA (high efficiency particulate air) filter can significantly reduce airborne allergens like dust, dust mites, pollen, mold spores, and pet dander. HEPA filters trap these allergens and lock them away. If you’re particularly sensitive to allergens, it could also be helpful to use a vacuum cleaner that also has a HEPA filter so that you can allergen-proof your home even more. Allergies are often tied to weak adrenal, immune, and/or digestive functions. If your allergies are unbearable, and the above solutions fail to provide relief, it might be time to try an elimination diet to provide your gut the opportunity to heal and strengthen, in order to help your body better protect itself from sensitizing elements. Sensitivity to airborne allergens and sensitivity to certain foods may also be related. At the very least, when the body is already coping with one form of sensitivity, it makes it harder to fight off multiple ones – making allergy symptoms worse. Good health always begins with good nutrition. Removing certain foods from your diet can improve your overall health and reduce your allergy symptoms. Elimination diets can be challenging and are best implemented under the care of your integrative health team. Speak to your practitioner about whether an elimination diet could help you better manage your allergy symptoms this season. Natural treatments often take longer to take effect than typical medications. So, beginning natural treatments 1-2 months before the season begins can help prepare your body ahead of when allergens are at their most severe. Not sure you can wait that long for relief? Try pairing nasal irrigation or HEPA filter air purifiers with your nutritional supplement of choice for speedier results. Just remember: more is not always better. For best results, choose only one or two dietary or indigestible supplements along with other efforts to physically remove potential allergens from your environment, breathe deep, and enjoy your Fall season!